William Porter was the son of William and Mary Porter. William was born about 1885. 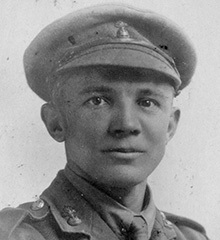 Second Lieutenant William Porter was serving with the 6th Battalion (att. 1st Battalion) of the Royal Inniskilling Fusiliers when he was killed in action on the first day of the Battle of the Somme on 1st July 1916. William was 31 years old. The CWGC records William as the son of William and Mary Porter, of "Beechview," Balmoral Avenue, Belfast.